Now for the bad news: Kim’s lease expired back in May, and he’s been operating on a month-to-month basis ever since, while developers seek permits to demolish the building and put up condos. And he has no immediate plan to open elsewhere. Last call could come as soon as next month. 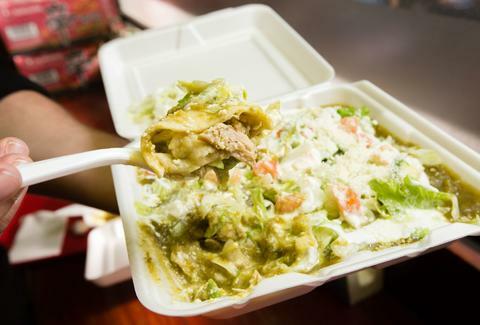 In other words: If you're looking to try some of the city's spiciest, cheapest, and most satisfying enchiladas, you'd better act fast. Chris Shott is Thrillist’s Senior New York Editor and encourages all landlords to reach out and offer New York Bakery a modest new space with a reasonable lease -- preferably in SoHo, close to Thrillist headquarters. Follow him on Twitter and Instagram.